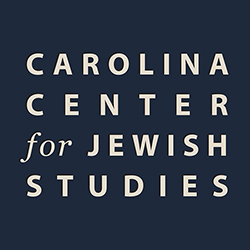 Carolina offers academic minors in Jewish Studies and Modern Hebrew for undergraduates. The minor in Jewish Studies is intended to provide students with an overview of the beliefs, culture, history and religion of Judaism and the Jewish peoples in interaction with surrounding cultures, from ancient times to the present, as well as an opportunity to become more knowledgeable about selected areas of the Jewish experience. All Minors are required to take a mandatory core course in Jewish Studies, JWST 100/RELI 123, Introduction to Jewish Studies. The minor consists of five courses, which must be taken in at least two different departments. The minor requires the core course (JWST 100/RELI 123) and four other courses selected from the list below. Of these four courses, one must be a course numbered 400 or higher, and at least one must be pre-1750. Additions to this list must be approved by a faculty member who serves on the Planning Board of the Carolina Center for Jewish Studies. Only courses in Modern Hebrew at the 5th semester level or higher can count as courses toward the minor. Students minoring in both Jewish Studies and religious studies must use at least three JWST courses that are not cross-listed with RELI to complete the requirements for the minor in Jewish Studies. The minor in Hebrew was created due to interest expressed by many students who wanted to focus specifically on Modern Hebrew Language. Students declaring the Hebrew minor include International Studies majors with concentrations in the Middle East, Religious Studies majors, and those from a wide range of majors who desire a more in depth command of the Hebrew Language. HEBR 101-102 [HEBR 1-2]. Elementary Modern Hebrew. The sequence 1,2 introduces the essential elements of modern Hebrew structure and vocabulary and aspects of modern Israeli culture. Aural comprehension, reading, speaking, and writing are stressed in that order. HEBR 203-204 [HEBR 3-4]. Intermediate Modern Hebrew. Modern Hebrew 3,4 is a two-semester sequence designed to increase reading and writing skills. An introduction to representative literary works is included. Aural comprehension and speaking skills are also stressed. HEBR 305-306 [HEBR 5-6]. Advanced Modern Hebrew. Students will read and analyze the literary works of well known Hebrew writers including Amos Oz, A.B. Yehoshua, Aharon Meged, Savyon Liebrecht, Yehuda Amichai, S.Y. Agnon, and others. **The language courses for the minor are 204, 305, 306. What about HEBR 101, 102, 203? Those don’t count (technically) as minor courses, but if you are a beginner in Hebrew, obviously they would be necessary as a prerequisite before you could start taking language courses for the minor. So while it’s true that the minor requires four courses, since the minor courses have prerequisites, it’s also true that someone beginning in Hebrew would need to take 7 courses to finish the minor. HEBR 101, 102, 203 would count for the general College language requirement, and HEBR 204, 305, 306 would then count toward the minor. If, on the other hand, you had prior Hebrew knowledge, and were able to place into 204, then you could just start right in on the minor courses. Students interested in the minor whose initial Hebrew placement is above 204 should consult with Lori Harris, leharris@email.unc.edu.